"The Pyrrhic Wars (280-275 BC) were notable for the first deployments of elephants, or elephantries, by the Greeks against the Roman army. The Indians were the first recorded to have used the elephant as an instrument of war where they make an appearance in the Sanskrit epics, and in later stories of the Mahabharata and the Ramayana in the fourth century BC. Their use spread westwards to the Persians in their wars with Alexander the Great." Elephantries?! We had to know more. According to Century Dictionary and Cyclopedia, elephantries are defined as "military units with elephant-mounted troops." Elephants were specially trained and then used in the initial charge with soldiers firing on their enemies from the elephant's back. They fazed out when firearms were invented and made them much easier to kill but they played a key role in quite a few battles. Turns out that long before humans abused elephants for circus entertainment, they abused elephants to win wars. 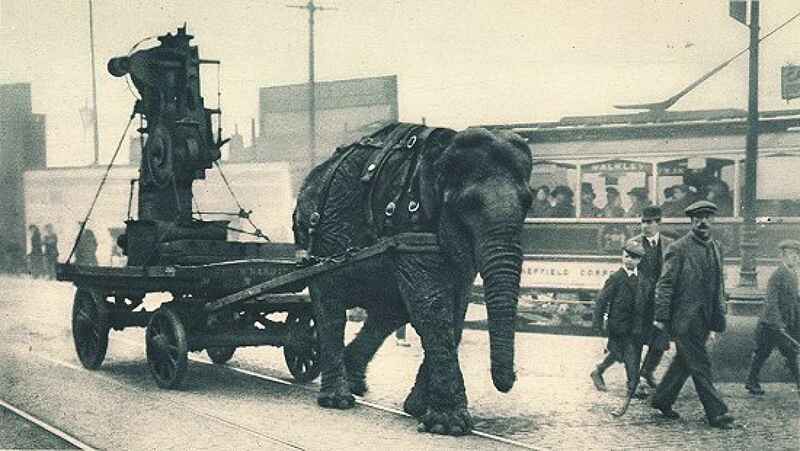 Once they were made obsolete in battles, the elephants did not get to retire. Instead, militaries used them to haul materials well through World War I. 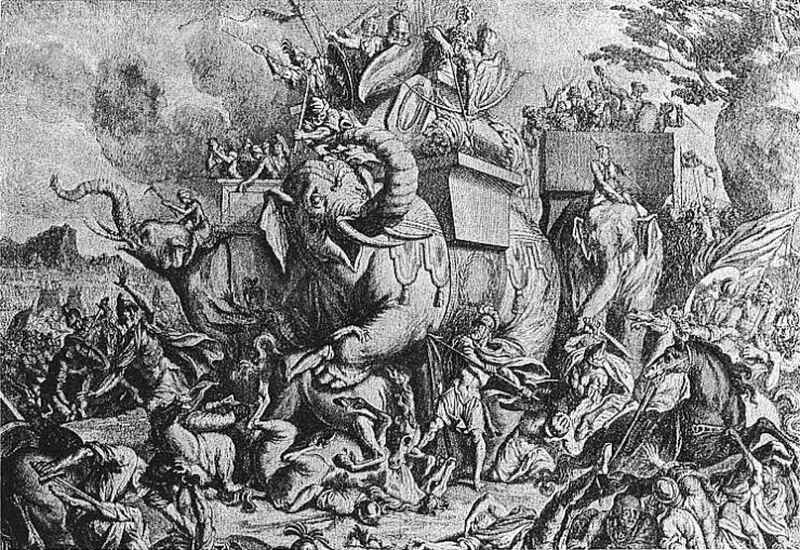 This clip below from History Channel's "Mega-Movers" series shows how elephants were used by Hannibal.